Released last year, Ori and The Blind Forest is one of the very best games available on Microsoft’s console; a very nearly perfect platformer that borrows much of its design ethos from games that’d now be branded as “Metroidvania” games. It’s a game of exploration and backtracking, where unlocking new tools means going back to previously discovered areas and using those freshly acquired abilities to progress. The game was so good, so complete that it feels like a “definitive edition” of it, just a year later seems redundant. And yet, somehow, Moon Studios has managed to make it a better game. It tells the heart-wrenching and emotive tale of Ori, a being of light who’s entrusted with saving the titular Blind Forest. In a story told without a word of real dialogue, Ori and the mote of light that accompanies must combat, jump and climb through a number of beautifully crafted environments to repair the forest, damaged by darkness. Our original review of the game stands – and it’s still as beautiful, as engaging and as challenging, but it brings with a few welcome changes. 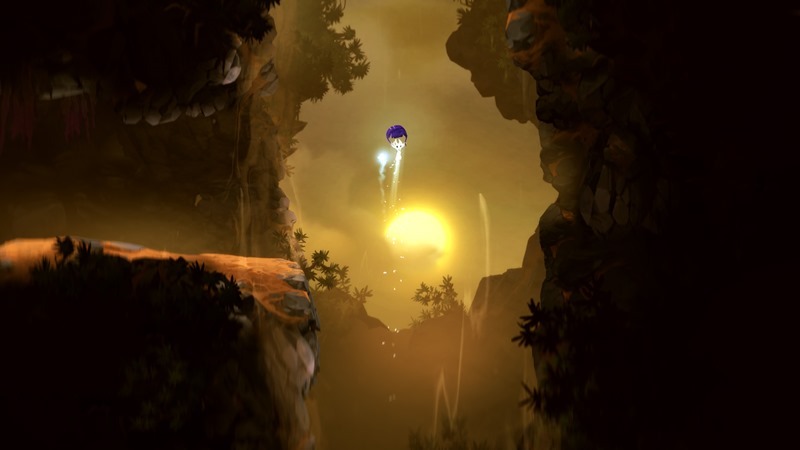 Right out of the gate, Ori is a gorgeous game to behold. It’s got a visual palette that is reminiscent of the recent Rayman games, but it just looks smoother and more expressive in action. 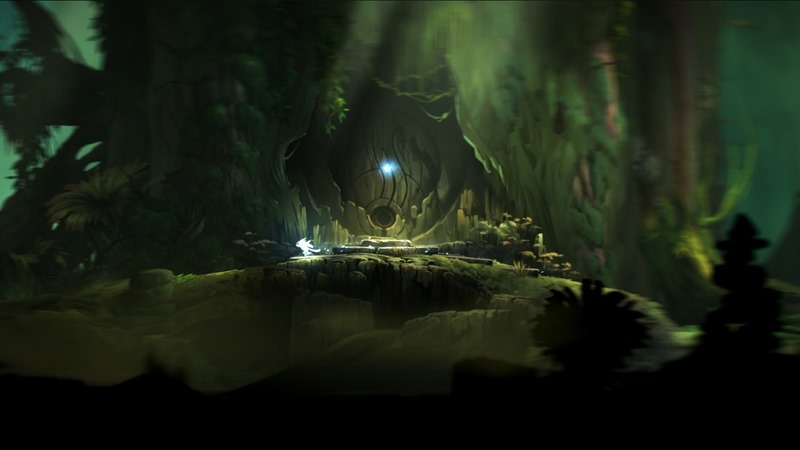 There’s a minimal amount of dialogue here, with the game letting its lush visuals handle the narrative and relay the tale of little Ori and his quest to restore light and hope to a forest that has been blinded by fear and darkness. And yes, the opening story is going to hit you right in the emotions, that carries on through Ori’s entire journey. 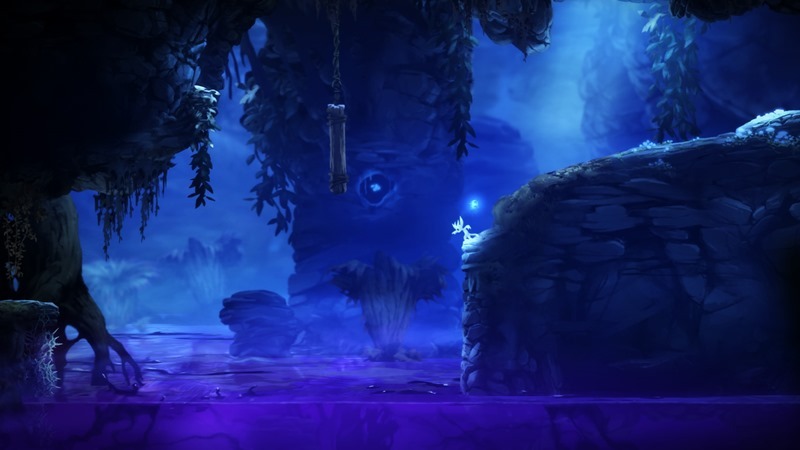 You’re going to hear the word Metroidvania thrown around quite a bit in descriptions for Ori. And that’s because the game very much is inspired by those games. It’s pure side-scrolling action and exploration, as you work your way through levels that are crawling with enemies. But what sets Ori apart from other similarly-inspired games in this genre, is that the gameplay is incredibly tightly polished and organic. From simple run and jump mechanics, to your companion sprite Sein who can fire off bolts of energy to take down foes, not a single movement in Ori is wasted. Everything works 100% of the time as it was intended to, as new skills are unlocked during your journey and the game quickly throws you into the deep end of scenarios where you learn how to effectively use these abilities in and outside of combat. There’s a certain nuance to these skills, that rewards players who use them gracefully and punishes button-mashing tactics. You’ll quickly learn new double-jump techniques before you graduate to higher-level abilities, and you’re going to need them. 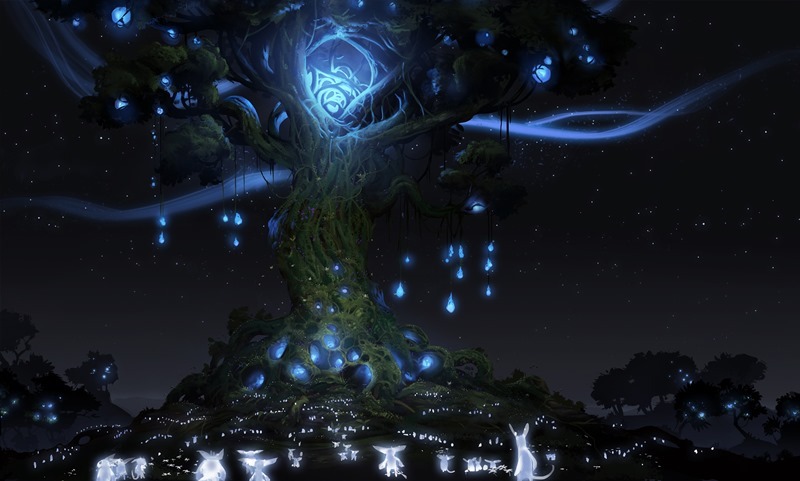 Ori and the Blind Forest isn’t just inspired by an older school of games in the gameplay department. It’s also brought back a certain level of challenge, as the game has no remorse for even the slightest of mistakes. 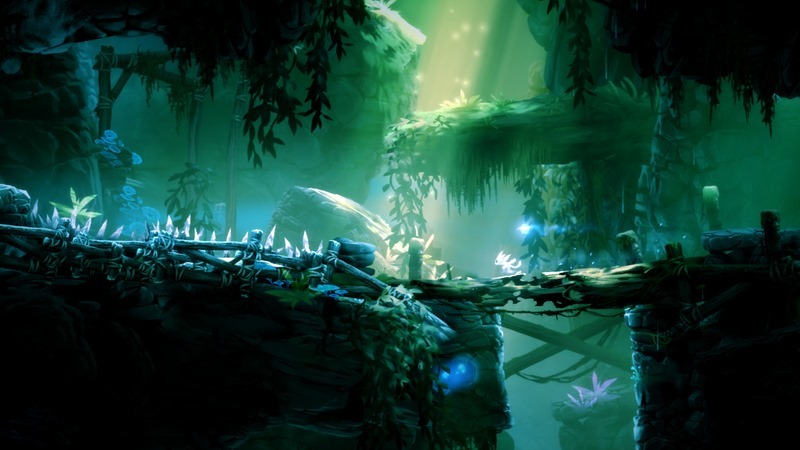 Miss-time a jump, and you’re very quickly going to see Ori’s health meter bleed away before a quick death greets you and sends you back to your last checkpoint. At least here, the game shows some more modern thinking thanks to the Soul Link save system. Provided you have an orb of energy saved, Ori can create a soul link that allows her to save her game, as well as access a menu to spend skill points to level up abilities. It’s an absolutely crucial aspect of the gameplay to master, and it will most likely create OCD saving tendencies as you balance the need to either keep enough energy for future foes or a safe checkpoint from which to trial-and-error run your way through danger zones again. And you’re going to need to get used to this, as the game has plenty of obstacles in your way. I’d also recommended warning anyone sharing a home with you to not come near you when you’re playing, as an interruption that results in yet another failed jump will most likely result in death-stares from you. But as a complete package, Ori just dazzles in every way possible. It looks gorgeous, plays even better and it never ever feels like its wasting your time while it provides a balanced challenge. If there are any wrinkles in an otherwise superb debut title from Moon Studios, it’s that Ori has no New Game + option from which to continue, as clocking it is a done in one feat. It won’t take you too long to do so either. Around six to eight hours on average for rushers, and about ten hours in total for masters who want to explore every nook and cranny of the game. At the same time, it’s well worth experiencing multiple times, as Ori and the Blind Forest feels like the true first classic must-have title of this generation of gaming. But what makes this version definitive? While the original release of the game had just the one difficulty mode, the Definitive Edition packs in a Simpson’s handful of them. The Normal difficulty is joined by an easier one, which gives Ori a little more damage resistance and the hazards and environmental damage a little less sting. It doesn’t, however, make the platforming any easier and some moments – like the enthralling escape from the Ginsu tree – still require deft platforming skills and trigger reflexes. The harder difficulty reverses this, making an already challenging game even tougher, while the One Life mode does exactly what it says on the tin. It will make you cry. The Definitive Edition also contains two new areas, both of which have been seamlessly added to the game. Each brings with it new narrative bits that help you understand the game’s characters and backstories a little more, which is a treat for returning fans. There are two new abilities too. Light Burst is an amiable projectile, helpful for taking down enemies while Dash is fantastic for speeding through areas. They’re both upgradeable through the Skill Tree too, so they both become more useful as you progress. Far and away the most useful addition is the ability warp between the game’s Spirit Wells, which originally functioned only as save points. It helps mitigate some of the game’s sometimes laborious backtracking, and makes it far easier to collect every upgrade. You can also continue after the game ends now, so you’re not stuck with a useless save file once you’ve bested the game. Unfortunately, saved games from the regular version are not compatible here, so you’ll need to play through the game again should you have already completed it. When I first booted up the Definitive Edition, hoping to carry on where my previous saves left off, I was pretty annoyed that saves didn’t carry over – but then I played Ori and The Blind Forest again, and it was just as wonderful. Ori and the Blind Forest: Definitive Edition - while superfluous - makes a near-perfect game even better. If you haven't played it, now is the perfect time - and even if you have, it's worth revisiting. Next article More CAPTAIN AMERICA: CIVIL WAR images to drool over!